Wonderful show news from Geogia!!! 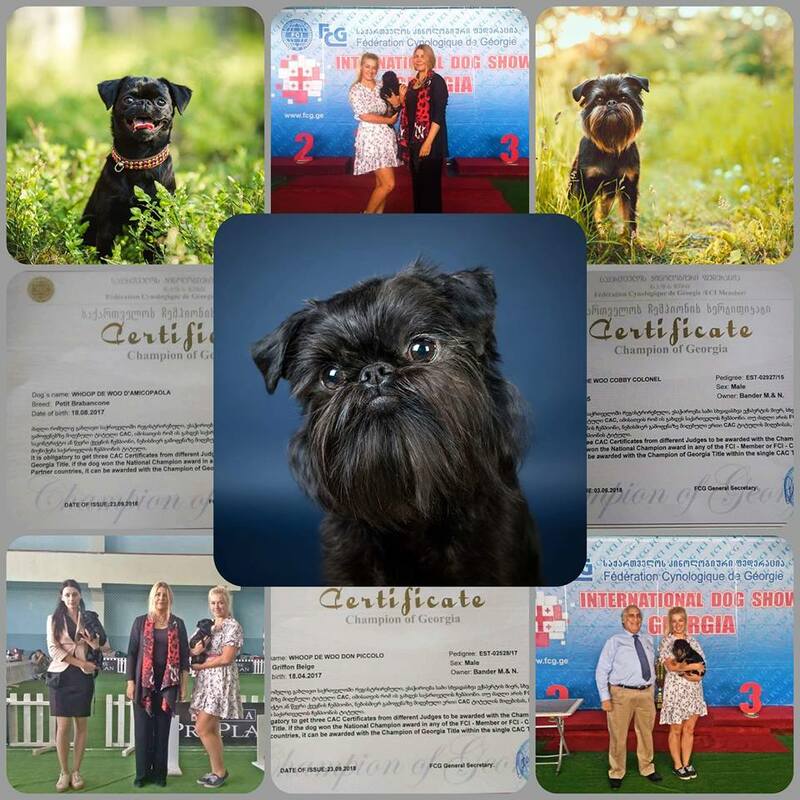 Griffon Belge Whoop De Woo Cobby Colonel “Mustikas” got CAC, CACIB and was BOB. Now he is new Champion of Georgia. Griffon Belge Whoop De Woo Don Piccolo “Piccolo” first time in adult class and he got CAC, Res-CACIB and new Champion of Georgia. Petit brabancone Whoop De Woo D’Amico Paola “Paula” first time in adult class and she got CAC, CACIB and was BOB. She is is new Champion of Georgia also. Griffon Belge Whoop De Woo Don Piccolo “Piccolo” got CAC, CACIB and was BOB. Petit brabancone Whoop De Woo D’Amico Paola “Paula” got CAC, CACIB and was BOB. Thank you Nelly Bander for super handling. National Dog Show in Luige, Estonia!